Agents are invited to learn about all-inclusive luxury taken to a whole new dimension at The Grand Reserve at Paradisus Palma Real. This free informative webinar is taking place next Thursday (Dec. 13) at 2 p.m. (EST). Webinar speaker Angie Jennifer Diaz is Meliá Hotels International’s regional sales manager for the US and Canadian market in Punta Cana. 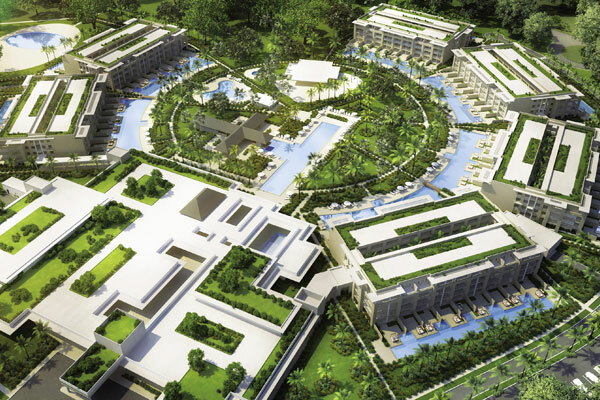 She represents the company’s seven properties in the destination, including Paradisus Punta Cana, Paradisus Palma Real and Meliá Caribe Tropical. Next Monday’s webinar will be moderated by Baxter Media with a Q&A session at the end. Agents who attend the full duration of the webinar will be given a chance to win a three-night stay at The Grand Reserve at Paradisus Palma Real.